We are happy to announce sales of the Mate 20 Pro international version, with root! This is the perfect opportunity for enthusiasts to have a Mate 20 Pro which they can develop on or modify however they please. Dual-SIM Mate 20 Pro. Asia/International (C636) branded LYA-L29 model. See full specs here. The color will be either black, twilight, or green. The color with fastest availability will be sent.. The phone is new, but the box may be opened by us to check the item and to comply with shipping regulations. If you choose, the phone will come rooted (make sure you read description and warnings regarding root below). A FunkyHuawei unlimited pass valid for any one device will be included as a free promotional extra. Any promotional items normally included with the purchase of the FunkyHuawei Unlimited pass are not included (for example bootloader unlock code or other promotions). For most countries, free express shipping by FedEx or DHL (usually arrives in 2-5 business days) will be included in the purchase price. For some remote countries, we will email you to ask to pay extra shipping cost, or offer a refund of your order. Before ordering, please make sure you read the descriptions, policies, and warnings below. Don't want to pay the 5% Paypal fee? If you choose "Rooted" in the purchase options, the phone will come pre-rooted. See below for a description of what that means. Definition of root: The phone will be shipped in a state where running the command "whoami" from an adb shell in normal system mode, will produce the result of "root". A root shell via ADB is also accessible in recovery mode, but the "whoami" command is not available in recovery mode. When accessing the phone by ADB shell either in recovery or from within the system, you will have full root privileges. No root management software like Magisk or SuperSU is included. We can't guarantee whether those will work, as it depends on the makers of those software. It is not possible to flash system images or custom recovery from fastboot. However it is possible to flash various partitions of the phone directly with the dd command from the root shell. Root is accessible from ADB only at this point. You could use this ADB root access to install root managers on the phone, but that is not included. Unless you install the su binary and a root manager, you can only access root from ADB. We can't guarantee various Android apps requiring root will work, as it depends on the makers of those software. We can't guarantee that you will keep root privileges after installing any kind of system update. To be sure to keep root, do not update your system, at all. WARNING!! By installing a system update, even one you receive by Huawei via OTA, you may lose root permanently. If you lose root, it is not possible to regain it. If you need to keep root, do not install any system updates. WARNING!! With root privelages it is possible to render the phone inoperable. We can usually help you recover in these cases, but it's not guaranteed. After recovering, you may not be able to regain root privileges. WARNING!! All use of the phone, including its root privilages, are at your own risk. WARNING!! Having root priveleges may make it impossible to install certain programs such as Netflix, use certain banking apps, or use Android Pay. If you decide you no longer want to have root, we can help you 'un-root' your device, but once it is lost, root privelege cannot be regained. WARNING!! Again, once root privelege is lost, it cannot be regained. 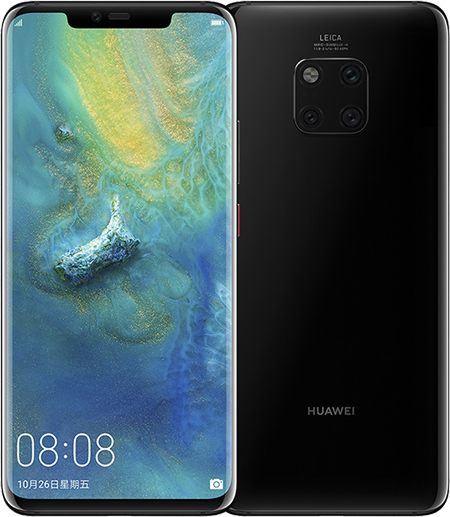 You are purchasing a Huawei Mate 20 Pro (LYA-L29) smartphone. It will be running EMUI 9.0.0.122 software, C636 (hw/spcseas) Global/Asian branding. If you choose "Rooted" in purchase options, it will be shipped with access to a root shell via ADB (android debug bridge). Although the phone will be in new condition, the box will have been opened in order to add the root feature to the phone. You are making your purchase with full knowledge of the limitations, caveats, and disadvantages to having 'root' as described on this page, as well as having a full understanding of the inability to return the device or obtain a refund, as described in the refund policy below. This sale is being made under the laws of Hong Kong, in Hong Kong Dollars, with the item to ship directly from Hong Kong. After an order has been placed and paid for, we do not accept cancellations, returns, or refunds. If there are any problems with your device, you agree to have it serviced by Huawei under the warranty or at your own expense. You fully understand that the "root privelege" feature which we install on the phone before shipping comes with dangers and limitations, and may be disabled when installing a system update, as described on this page. Having lost the root privelege or used it to accidentally damage your phone does not entitle you to a return or refund. You fully understand that the FunkyHuawei Unlimited Pass included with your purchase is a promotional extra, and is not returnable/refundable/paid for. It is provided for free to thank you for and assist you with your purchase. Any troubles with usage of your FunkyHuawei pass will not entitle you to any refund. If we are unable to process your order, we can cancel your order at our sole discretion. In this case, a refund will be provided in full.